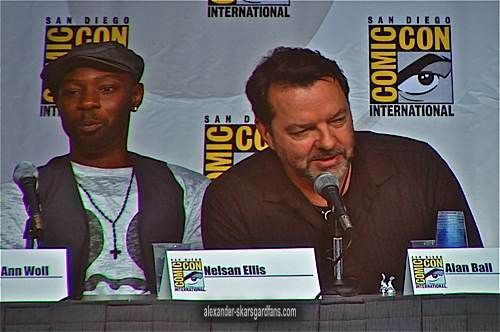 Comic Con 2010 was held in San Diego 7/21/10-7/25/10. 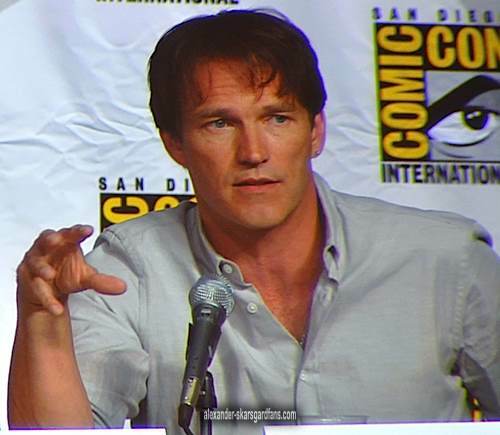 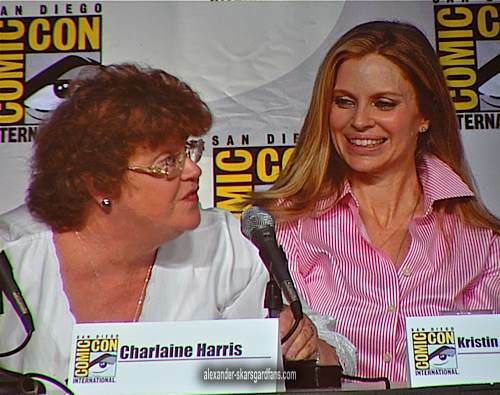 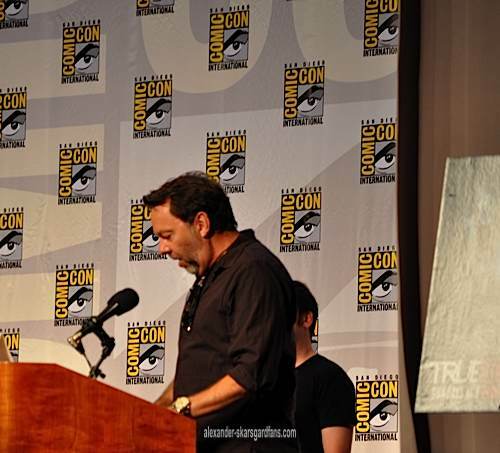 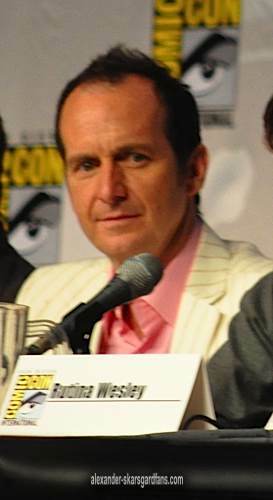 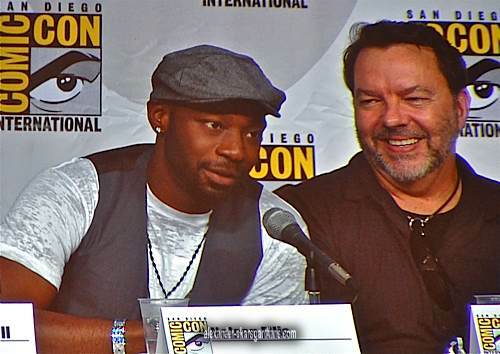 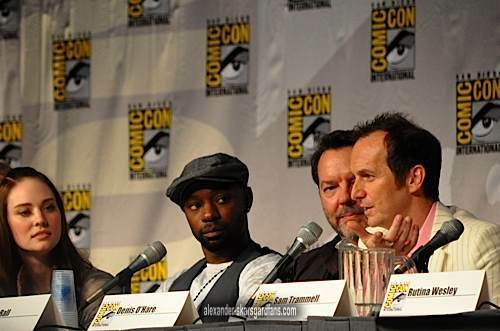 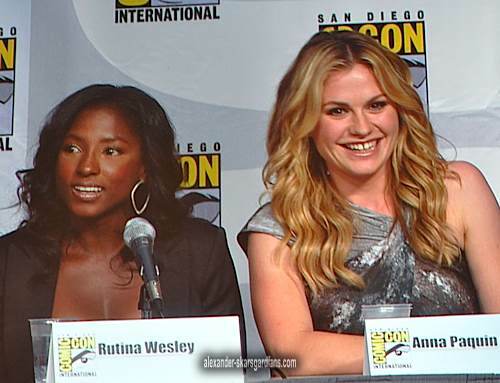 The True Blood panel with cast and Alan Ball was held on Friday 7/23/10 at Comic Con. 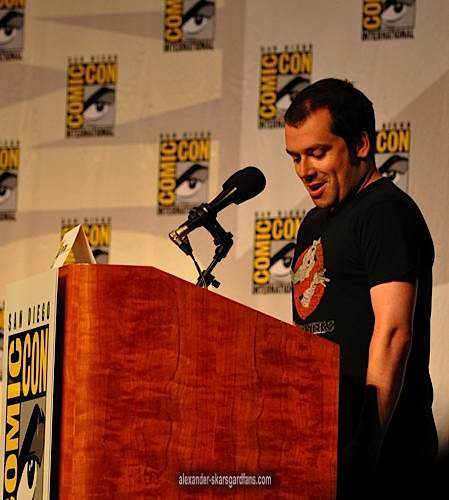 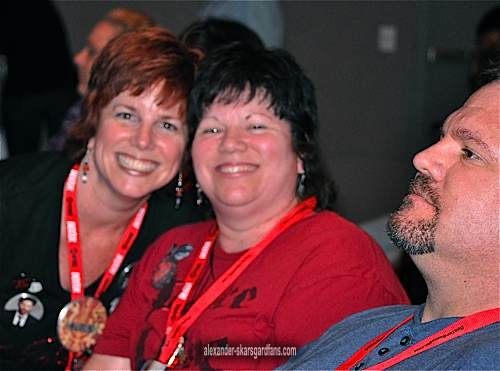 Fans were lined up for the ballroom where the panel was to be held since the wee hours of the morning. 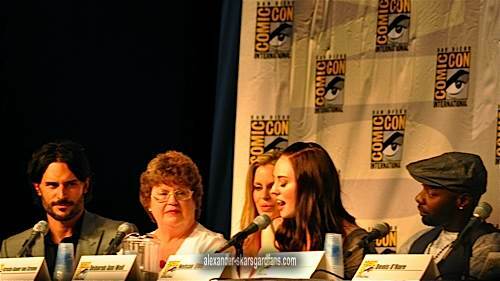 Yes I was one of those fans. 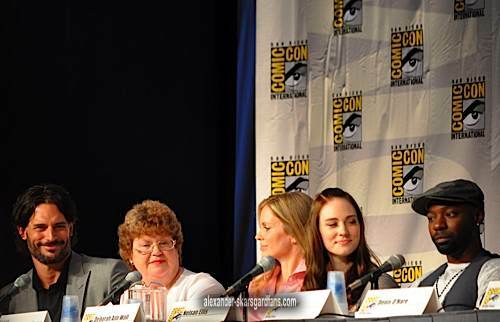 It was great to see the cast having such a great time answering questions. 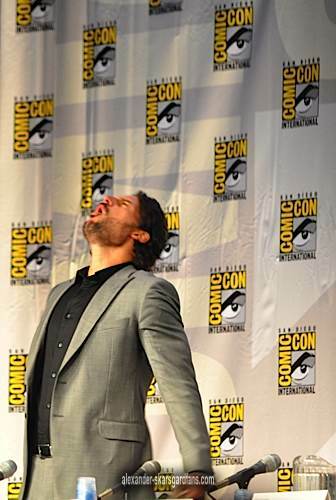 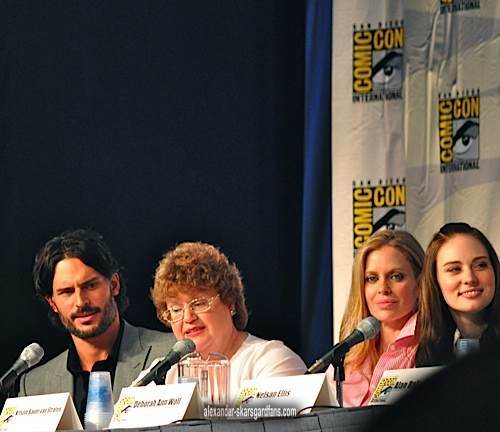 Alexander Skarsgard was not at the panel due to filming for the film Melancholia in Sweden. 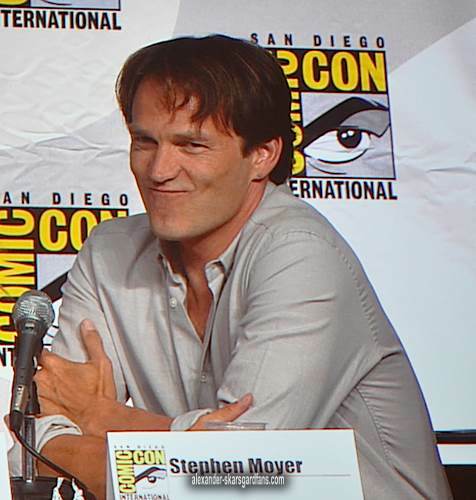 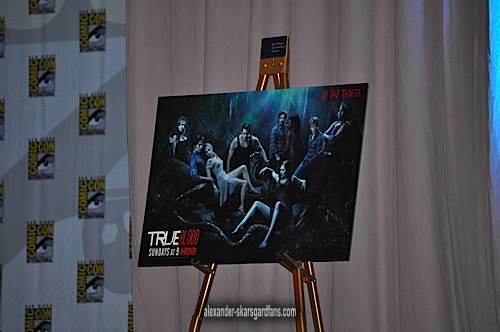 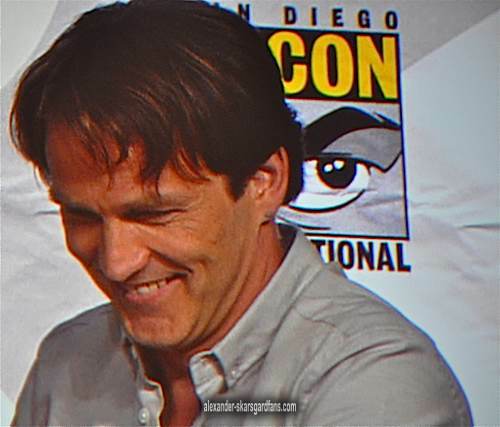 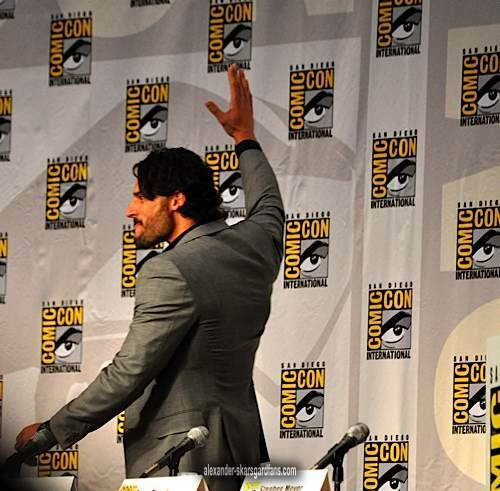 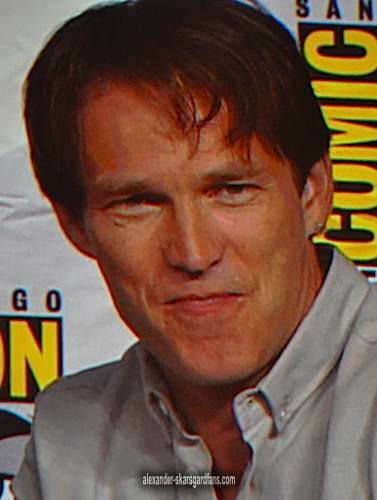 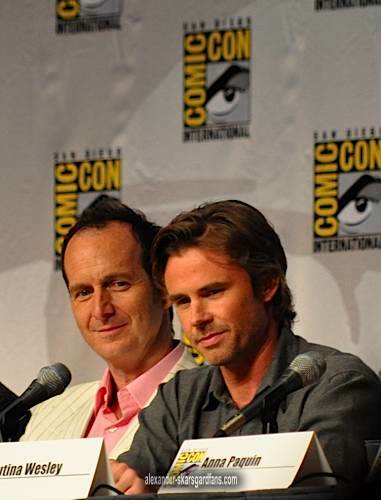 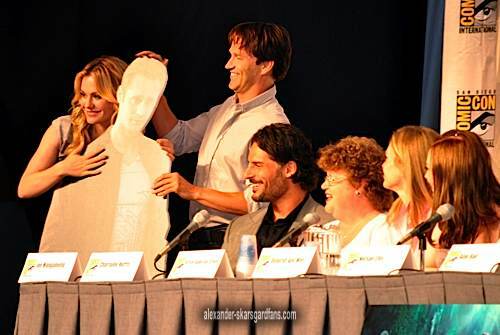 A cut-out of Eric Northman was brought out at the beginning of the panel by Anna Paquin and Stephen Moyer. 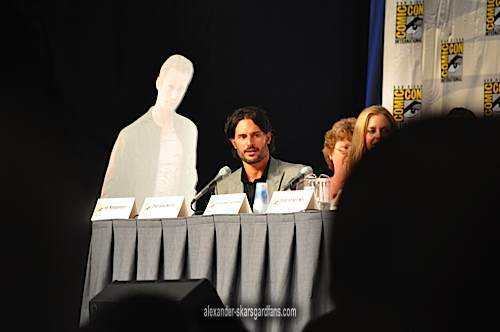 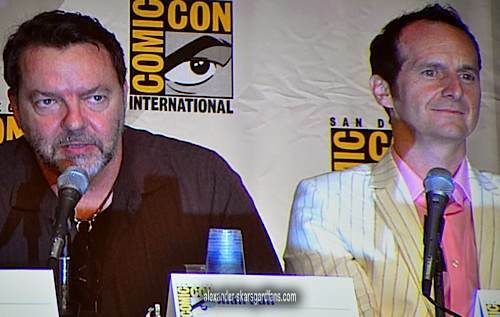 (sorry but that cutout of Alex as Eric looked a little creepy!) 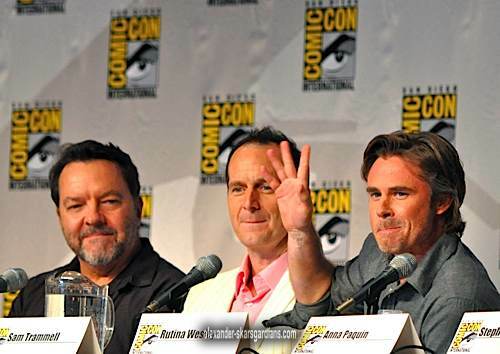 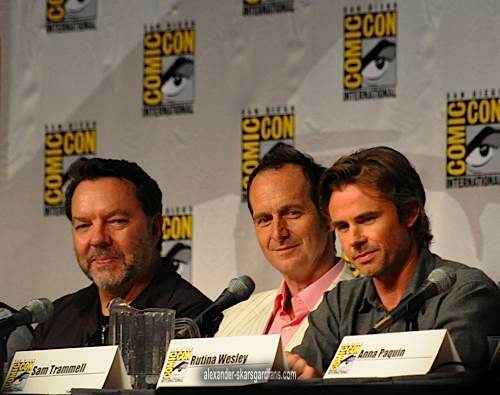 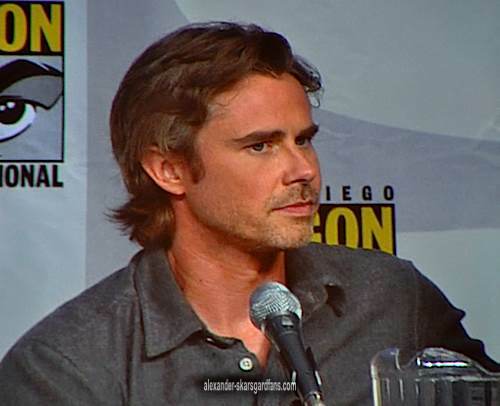 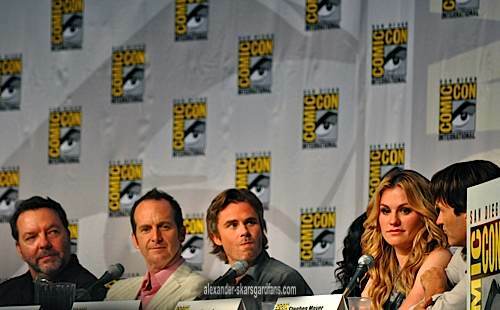 Ryan Kwanten also was absent from the panel. 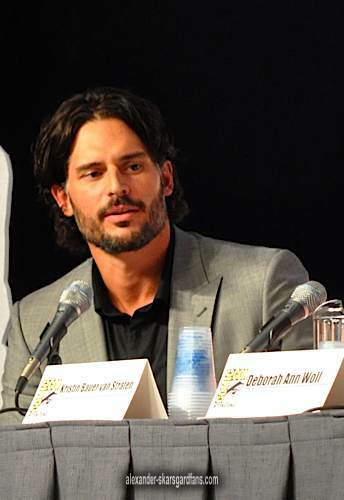 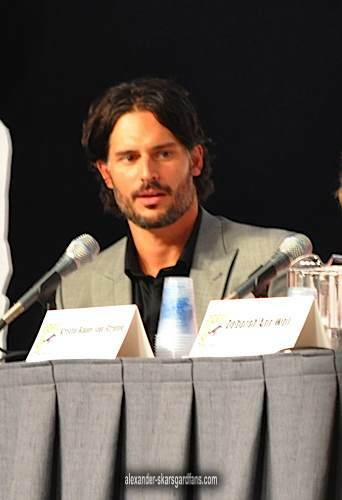 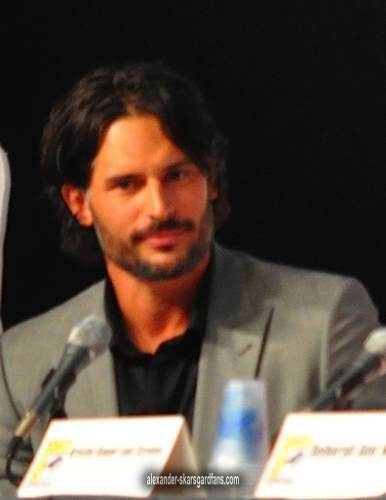 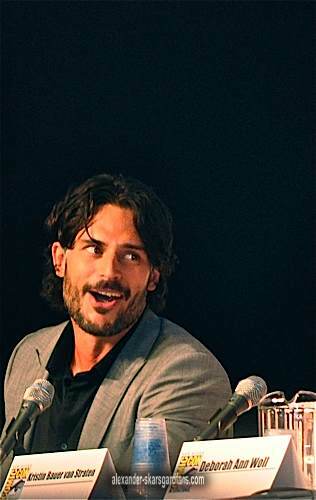 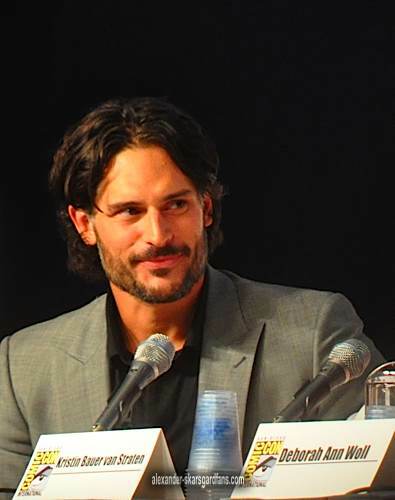 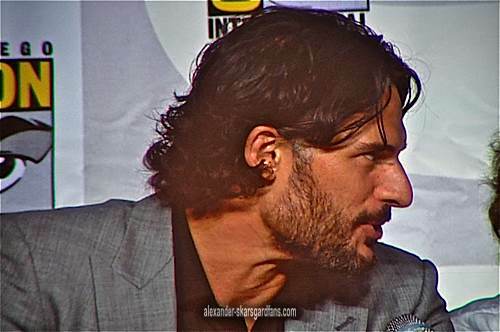 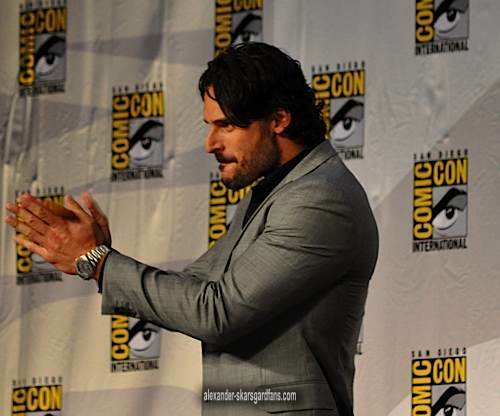 Fans were delighted to have Alan Ball and Charlaine Harris and the True Blood cast in attendance: Joe Manganiello, Kristen Bauer, Deborah Woll, Nelsan Ellis, Denis O’Hare, Rutina Wesley, Sam Trammel, Anna Paquin, Stephen Moyer. 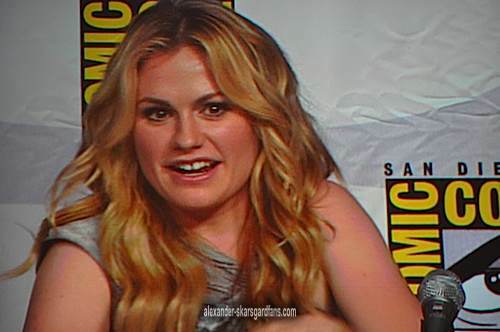 © 2010 B.Henderson Anna Paquin doing her best Bill imitation saying "Sookie"
The cast is announced and the audience gets even louder! 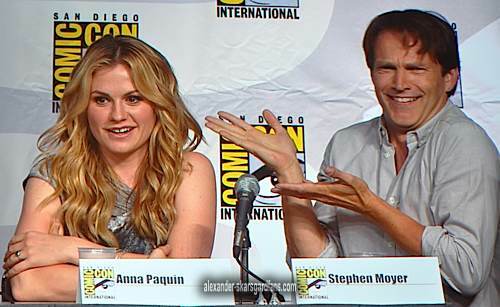 Anna Paquin is asked about her “powers” or as she calls it her “Microwave fingers”. 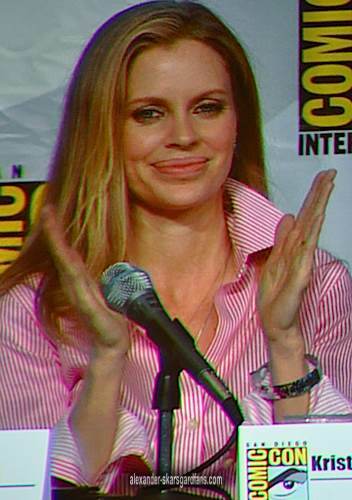 She doesn’t reveal too much and sticks with a “we’ll find out what it is about before the end of the season”. 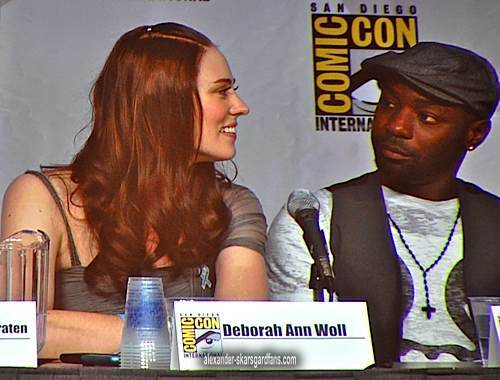 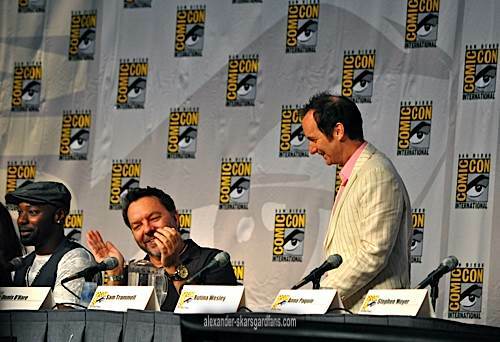 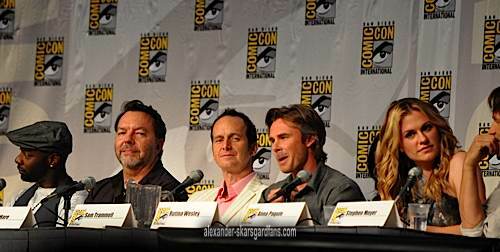 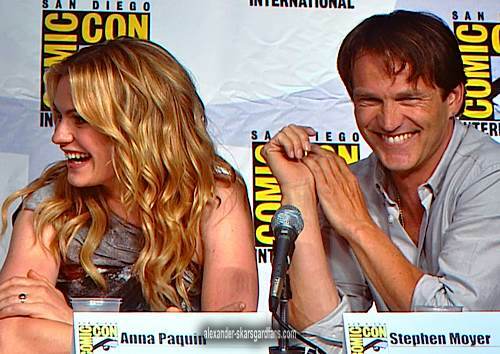 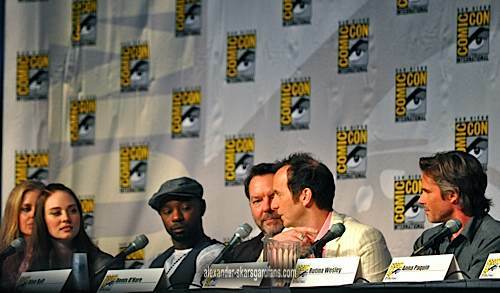 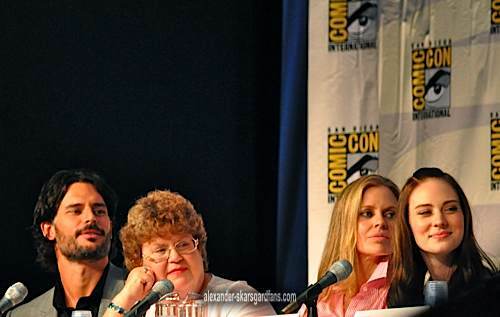 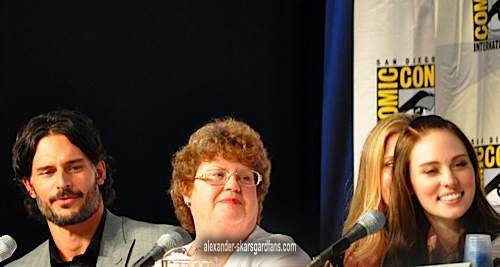 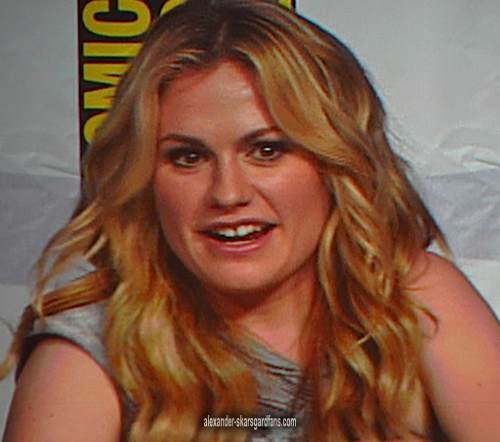 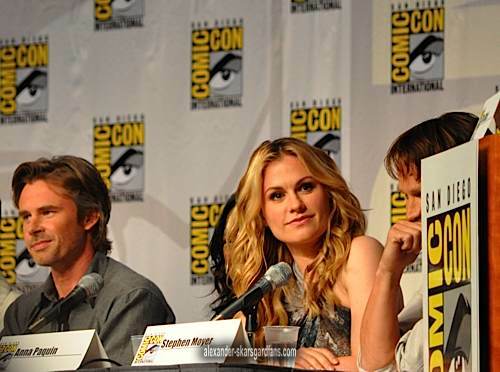 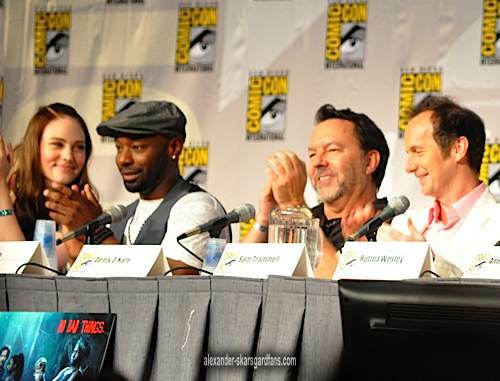 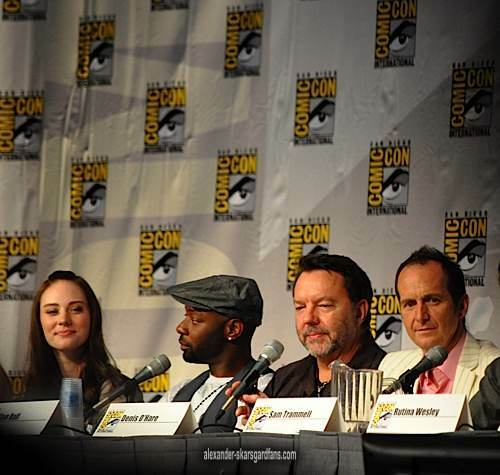 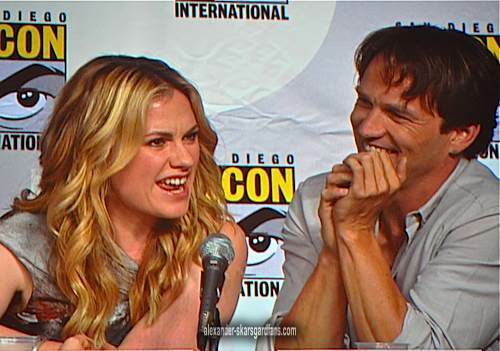 Anna Paquin does her best imitation of Bill Compton saying “Sookie” (or as it sounds…soooookkkkeeeee) The fans love it!